At Eastside Church we believe that faithful attention to worship and growth empower and fuel disciples of Jesus Christ to be servants to the world and the Church. We believe that our practice of resurrection invites the love of God to profoundly change our hearts thus reorienting us from the love of self, to the love of neighbor. We believe at Eastside Church that by serving we are led to more intimate worship of God and Christian growth which further empowers and fuels us to be catalysts for transformation, redemption, and hope on the east side of Atlanta and in the world. There are a host of ways to serve and be involved in the the life of the church both inside and out. Serving at Eastside happens by getting plugged in to one of service teams and through our Ministry Partners. Click here to sign up to serve! 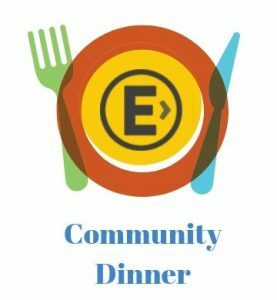 The Eastside family comes together for a shared meal on the 4th Sunday of every month at 5pm. We serve between 60 and 100 meals a week to both those that worship with us, as well as to those who need a warm meal. All are welcome to dine with us. There is something really special about breaking bread together. Volunteer opportunities include set-up, cooking, serving and clean-up. 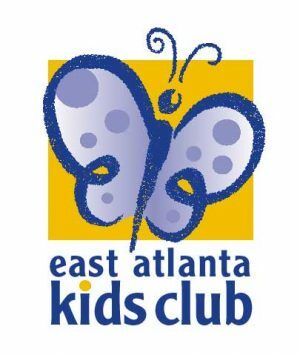 East Atlanta Kids Club is a nonprofit, out-of-school -time tutoring, mentoring and enrichment program for under-resourced girls and boys ages 7 to 17. Volunteer opportunities include mentoring, after-school kid’s club, Saturday kid’s club and annual events like the Brownwood Bike Rally and Easter Egg Hunt. For over 40 years, Branan Towers has served as a beacon over the East Atlanta community. They serve seniors aged 62 years and above. Most of the residents live below the poverty level on less than $10,000 a year, with the vast majority surviving on the area minimum which is $8,820. Volunteer opportunities include visiting residents, leading an activity, delivering food and annual events like the Summer Cook-out and Christmas Party. UMCH serves over 245 children and adults a day in 40 counties across North Georgia, and it delivered over 56,000 days of care in 2017. They envision a world where every child is raised in a loving, compassionate, and nurturing home. Volunteer opportunities include being a babysitter for foster families, becoming a foster or respite care family and collecting specific items needed for Eastside’s Foster Family Closet. helping set up new apartments, being a grocery shopper and helping with voter registration. Action Ministries Inc. is a nonprofit that provides an extensive network of community partners and volunteers with the tools and expertise to lead fellow Georgians out of poverty. 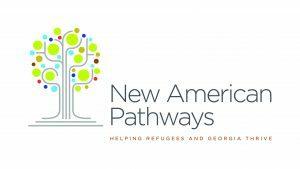 By meeting basic needs of hunger relief, housing and education, Action Ministries removes barriers that prevent thousands of Georgians from breaking the cycle of poverty and realizing their potential. Various one-time volunteer opportunities are available throughout the year. The La Gonave Haiti Partnership is a “ministry of presence” and a community development partnership between the people of La Gonave, the Episcopal Diocese of Haiti and the United States Partners, of which we are one. We have made multiple trips to La Gonave and continue to foster a relationship with the the small community of Ticolette. At Eastside Church we believe that serving God and the neighbor is of pivotal importance to the holistic Christian life. We encourage everyone to find a place in the church and a place in the world where they can serve. There are a growing number of ways one can serve at Eastside Church. Currently, our biggest need is for folks to help make our Sunday morning service of Word and Sacrament radically hospitable, powerfully engaging, and irresistibly compelling. This means volunteering to be a greeter, working with the kids, helping with the music & AV, creating art, serving communion, or any number of other opportunities. If you already know how you’d like to get plugged in, you can sign up here. Otherwise, follow the links below to see how you can serve at Eastside.